The increasing need for direct care employees in the medical industry will provide numerous employment opportunities for years to come as ‘baby-boomers’ age. 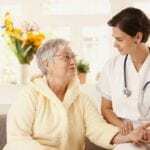 Nurse assistants and prospective nurse assistants who complete training and certification will find a multitude of job opportunities in the coming years. 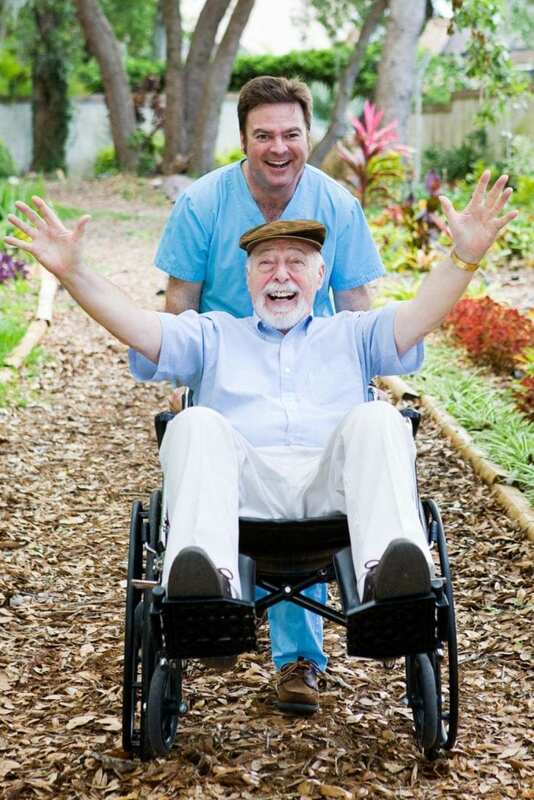 They work primarily in long term care facilities, but you can also find them in hospitals, adult day care facilities, hospices and patients’ homes, assisting senior and disabled patients with the activities of daily living. Nurse assistants also take patients’ vital signs, help with movement, and report critical changes in patients’ behavior to their licensed nurse supervisors and other members of the health care team. The Washington State Department of Health manages the training, testing and certification of nurse assistants, requiring them to complete at least 85 hours of training before taking the knowledge and skills competency test. Medprep Nurse Assistant Training offers small class sizes and convenient morning and evening schedules for individuals who want to begin a new career as an entry-level nursing assistant. Morning classes run from 10:00 am to 2:00 pm and evening classes are from 5:00 pm to 9:00 pm. The classes meet the 85-hour training requirements specified by the Washington State Department of Health and includes the mandatory 7 hours of HIV/AIDS training. Both morning and evening schedules include 13 classroom and skills lab and 5 clinical rotations covered over a one-month period. Applicants do not need a high school diploma or GED to enroll. However, all students must pass a WSP background inquiry and TB skin test. Throughout the training, students learn basic nursing principles, infection control, law and ethics, vital signs, communication, patient hygiene, and restorative and rehabilitative techniques in preparation for the (NNAAP) National Nurse Aide Assessment Program Examination in Washington State. Tuition and registration costs $725. Other costs include a criminal background check, TB test, gait belt, uniform, and CPR. Medprep’s administration will explain how to qualify for tuition reimbursement and provide job placement assistance. The one-quarter nursing assistant program at Everett Community College prepares graduates for success on the state’s certification exam. Many students also use the program as a stepping stone to a career in nursing. Applicants must upload documentation demonstrating completion of the immunization requirements (MMR, TDAP, Varicella, Influenza, Hep B) PPD testing, and a criminal background check. Applicants without medical insurance can purchase insurance through the college. Instruction covers mental health, HIV training, CPR instruction, safety and emergency procedures, personal care skills, basic restorative services, clients’ rights and independence. The course fee is $1,389.99 plus extra for lab fee ($129), technology fee, campus enhancement fee, liability fee, scrubs, watch, name badge, shoes, stethoscope, blood pressure cuff, transfer belt, insurance, textbooks, immunization, and background check. NAC Essential Prep facilitates a nurse assistant preparation course for Washington residents. After 4 weeks (86 classroom and clinical rotation hours), students are prepared to take the state nurse assistant competency exam available on the school’s compound. Applicants do not need a high school diploma, but must pass the entrance exam to enroll in the program. Morning and evening schedules are available for students’ convenience. Classes meet 5 days a week; in the classroom for the first three weeks and the final week of clinical training takes place in a skilled nursing facility. Graduates can take the state exam 15 business days after completing the program. The course fee is an all-inclusive $845, which covers tuition, textbook, state test, name tag, uniform, student handbook, background investigation, CPR, TB skin test, gait belt, tuition and registration. The Washington State Department of Health approved nursing assistant training course at the Nursing Assistant Training Institute prepares students for entry-level employment and qualifies them for the state competency test. Classes meet three to four times weekly for four weeks for 40 hours of classroom instruction and 52 hours of clinical rotation. Morning, midday, and evening, and weekend sessions are available for students’ convenience. Apart from the classroom and lab sessions at NATI’s facility, students meet for 5 clinical days (8 hours each) in a skilled nursing facility. Applicants must pass a reading comprehension test, complete the background inquiry form, and provide state identification and social security number. The course content includes basic technical skills, basic restorative services, infection control, HIV/AIDS training, mental health needs, communication, personal care skills, patients’ rights and independence, rules and regulations. Tuition is $640 plus $55 for registration. Tuition includes textbook and supplies for the clinical training. Students are responsible for uniforms, gait belt, and watch a second hand. Sno-Isle Tech Skills Center state-approved nurse assistant training prepares students for the certification exam. Registered Nurse instructors ensure students acquire the basic patient care skills in the classroom, lab, and clinical rotation to assist patients in long term care settings. Graduates of the training earn 10 credits for enrollment at Everett Community College and 17 credits for Edmonds Community College. Course topics include basic anatomy, physiology, medical terminology, patient care, infection control, communication skills, restorative skills, and safety and emergency procedures. The following facility is also approved to provide nursing assistant training in Everett, Washington.